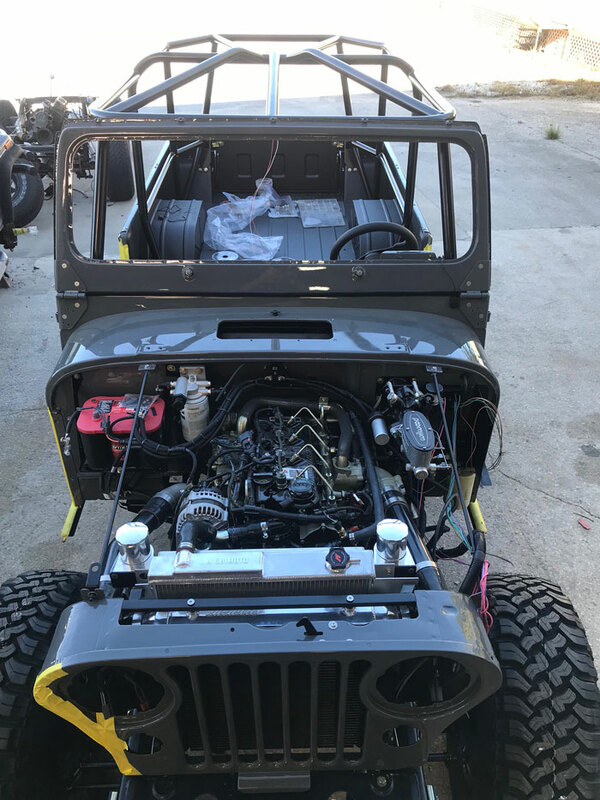 In Part 2 of the 1982 Jeep CJ8 project, our CUMMINS R2.8 Diesel Turbo Engine has been fully installed and custom mounted. The Inner Body and undercarriage are coated with a light textured deep black bed liner. 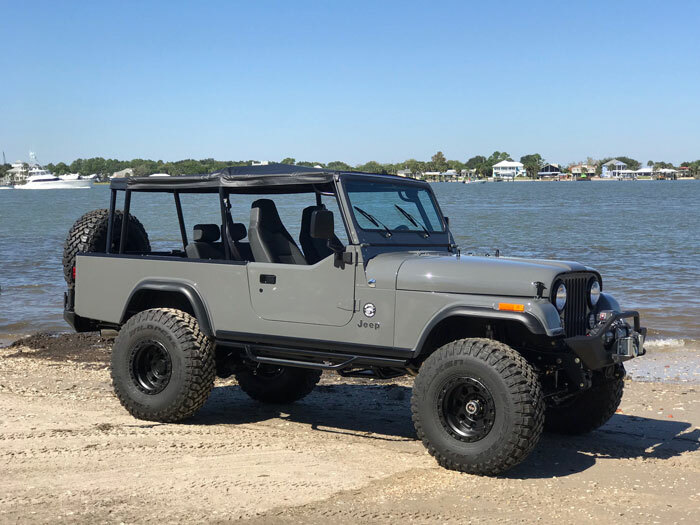 The Scrambler exterior is painted JEEP’s beautiful 2018 STINGRAY Grey. 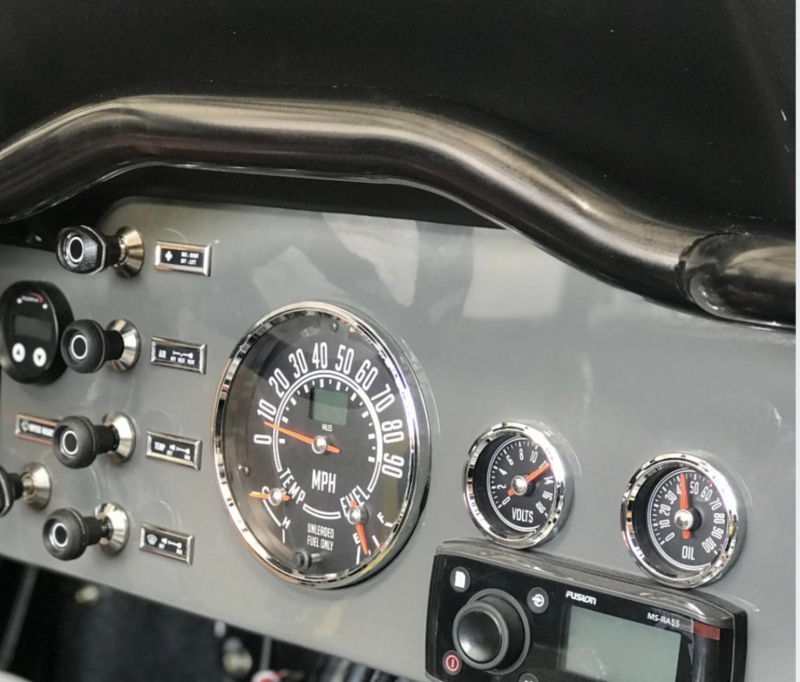 Marine grade SPEEDHUT Gauges have been installed with complete wiring and assembly. 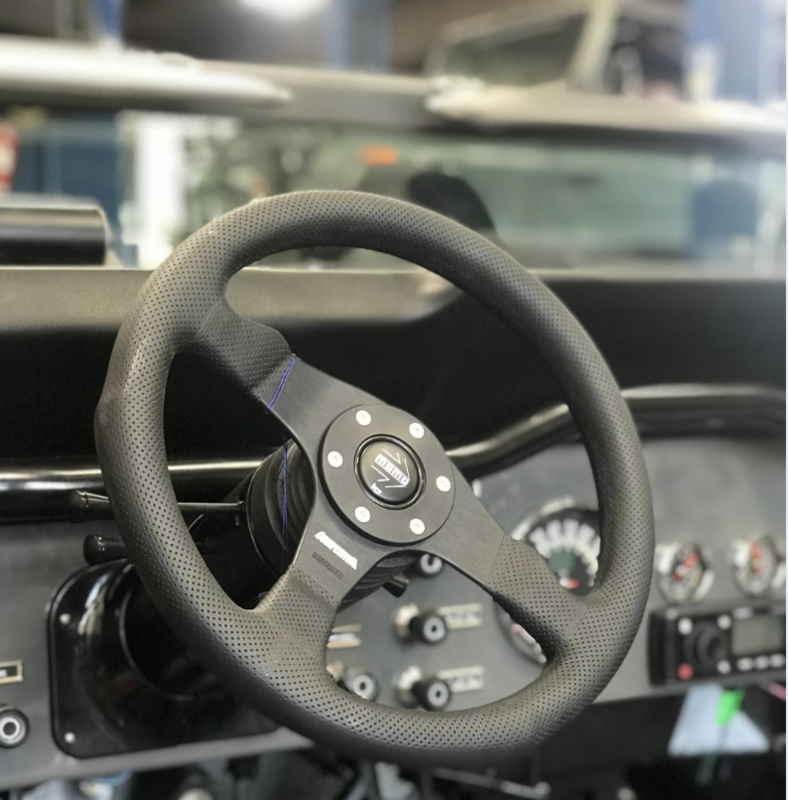 We added a great looking MOMO Steering wheel. This wicked ride is sitting on FALKEN Wild Peak 35’s and ATX wheels for a beefy look and a fantastic ride. 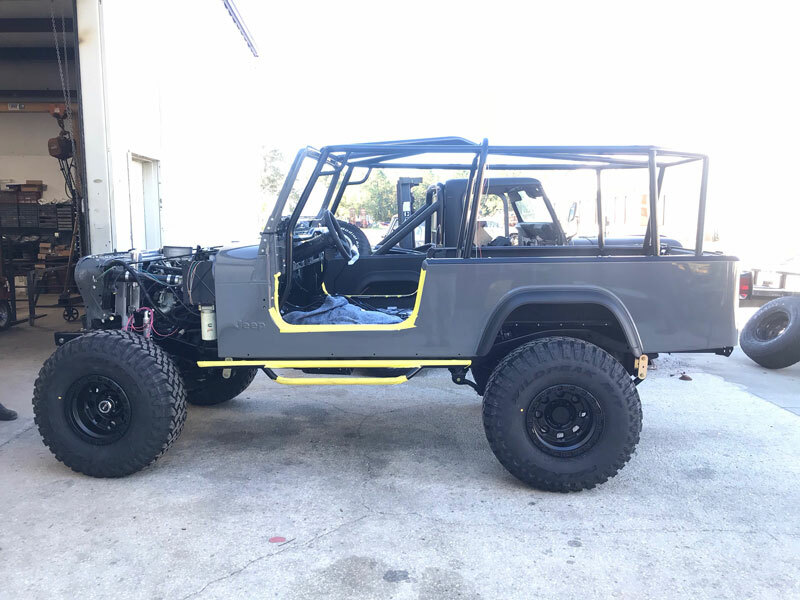 The custom fabricated off-road roll cage fitted the body perfectly. The rollcage provides safety and has a sleek black finish. 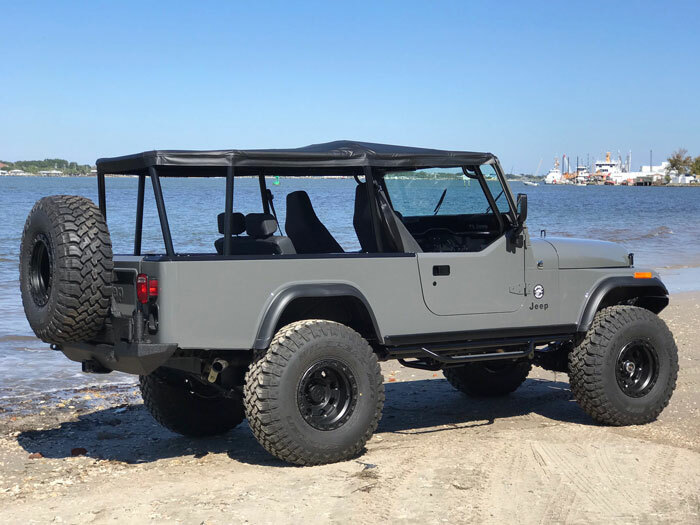 Topstitch of Fernadina produced a one of a kind soft top which hugs the roll cage and has zip off doors and windows providing several great riding options. The Hydro-boost brake system stops on a dime for safety and efficiency. 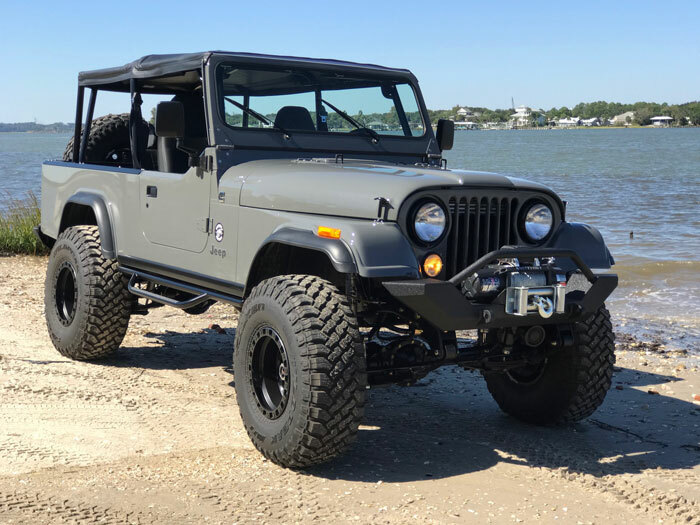 Gear and axle set up as well as suspension were all finished in time for the Jeep Scrambler to be shown at the 2018 Fort Lauderdale International Boat Show. We are completely satisfied with the brand new Cummins R2.8 turbo charged Diesel engine. This engine is durable, fuel efficient and a has quiet enviable rumble. The Fusion Radio system is Bluetooth equipped. There are two USB charging stations located in the dash compartment. The Scrambler is equipped with two comfortable front seats, a full back seat and tons of rear storage. It is also air conditioned! 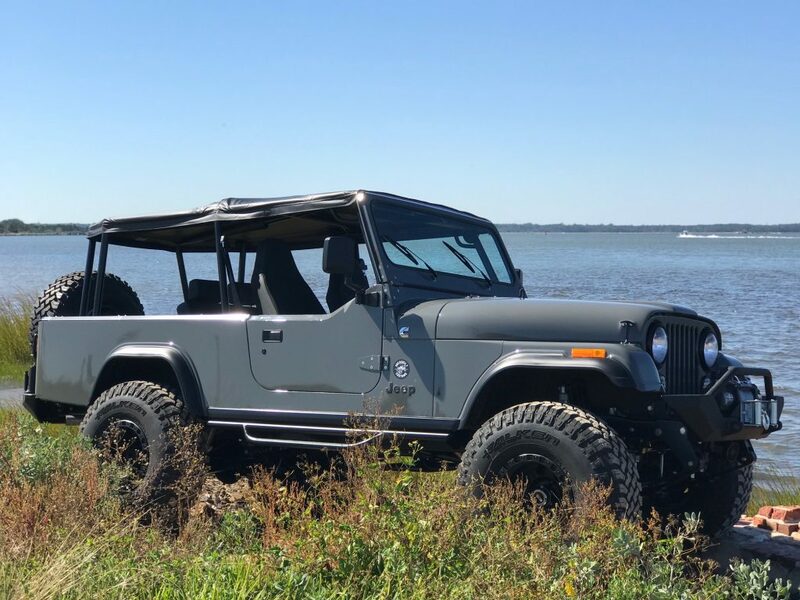 The finished Jeep has a vintage look and feel with all the modern touches. It is sporty, tough and ready to take on the toughest challenges or a casual ride into town.